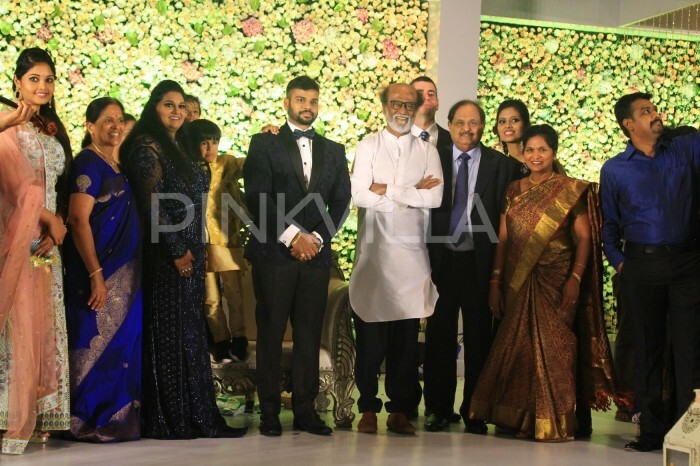 Superstar Rajinikanth also attended the wedding reception to shower blessings to the newly wedded couple. 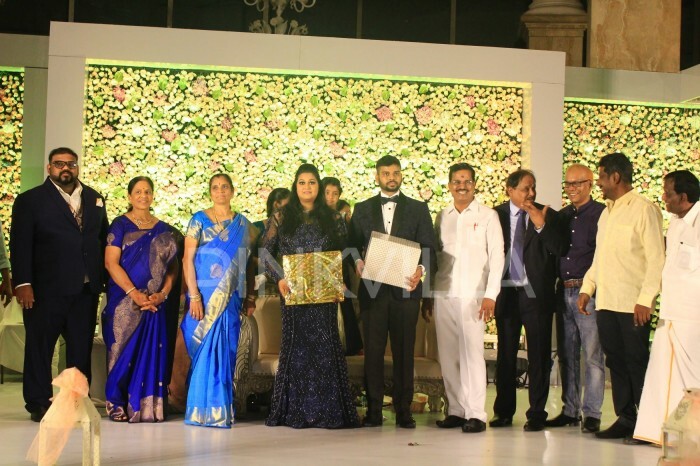 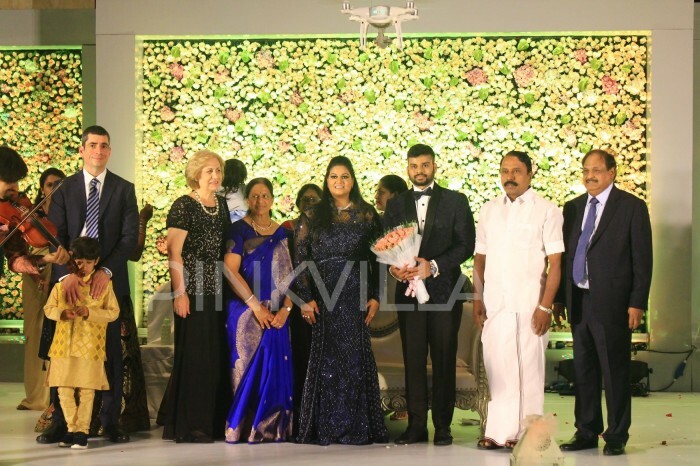 Le Royal Meridien Hotel Chairman Dr.Palani G.Periasamys’ daughter Ananthi’s wedding reception took place yesterday with Vinoth in Chennai. 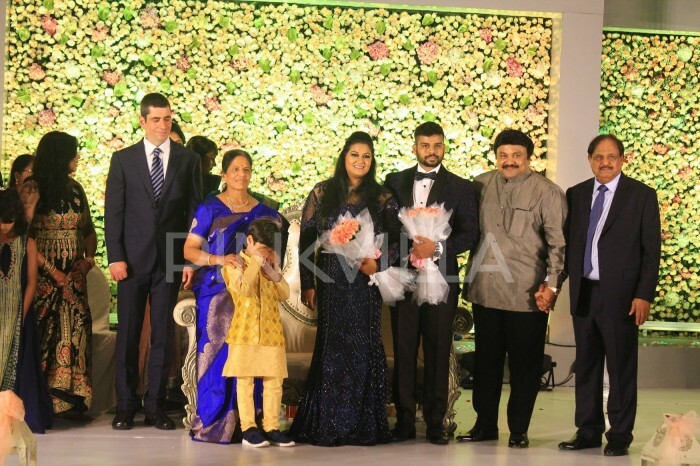 The royal wedding reception was attended by many Tamil Ministers, businessmen and actors. 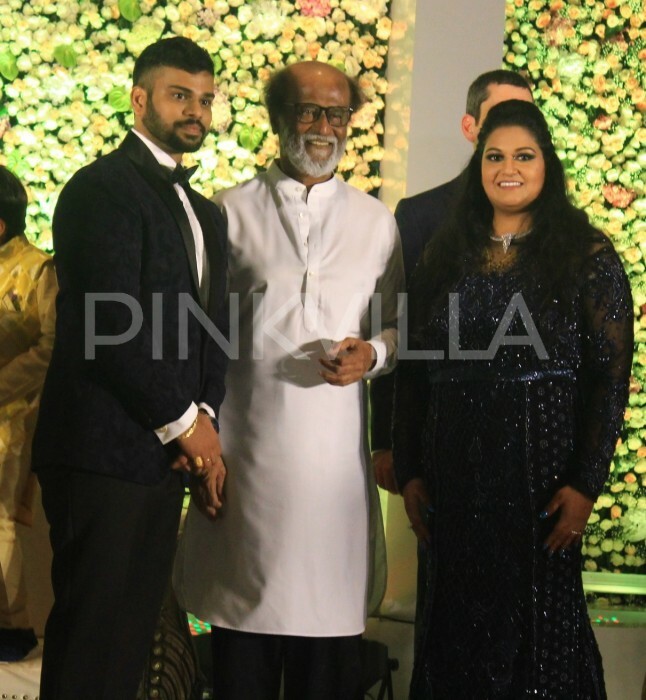 Superstar Rajinikanth also attended the wedding reception to shower blessings to the newly wedded couple. 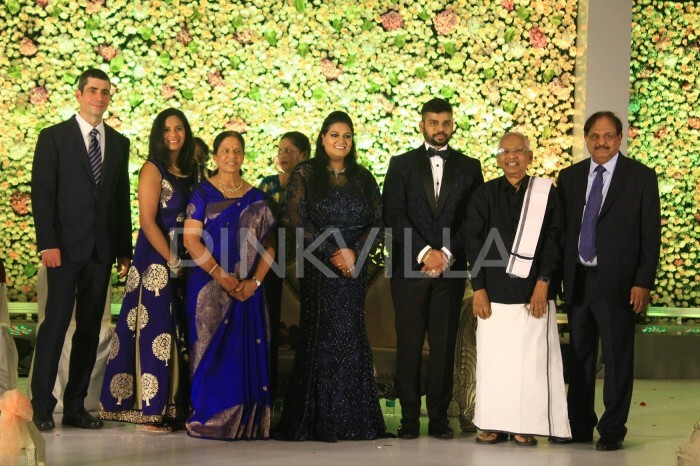 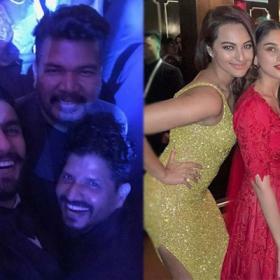 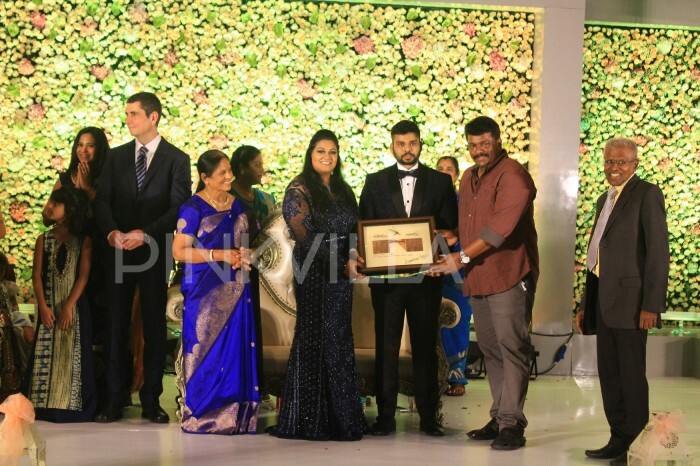 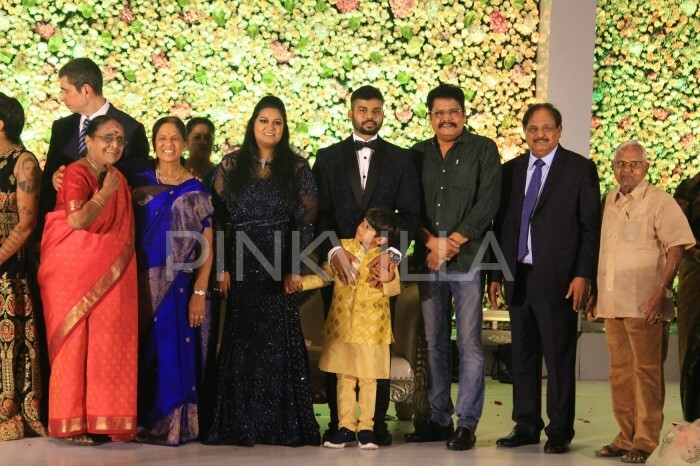 The superstar, who has geared up for the release of his much-awaited film Kaala, was all smiles as he posed with the family of the couple at the wedding reception. 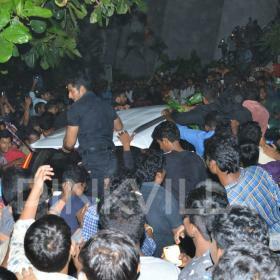 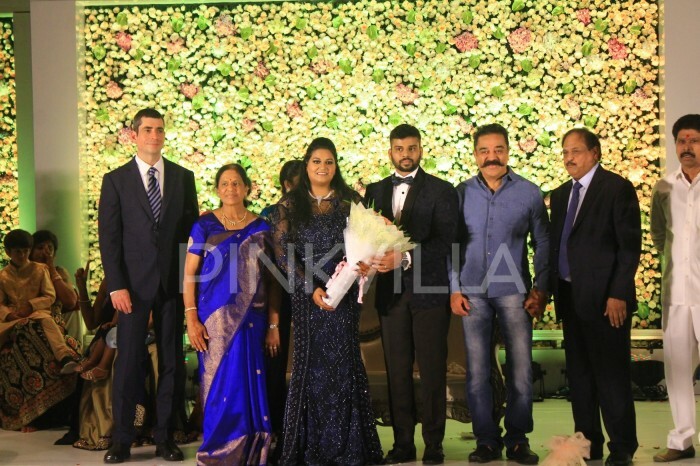 Also spotted at the wedding reception was none other than Kamal Haasan. 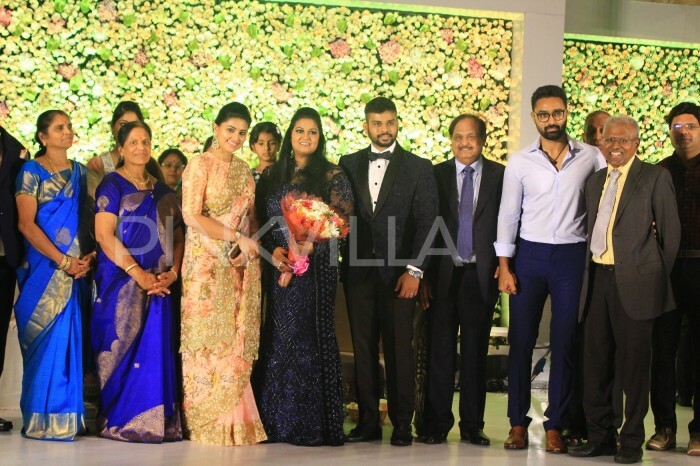 The celebrities from the industry greeted and congratulated the couple over their new beginning. 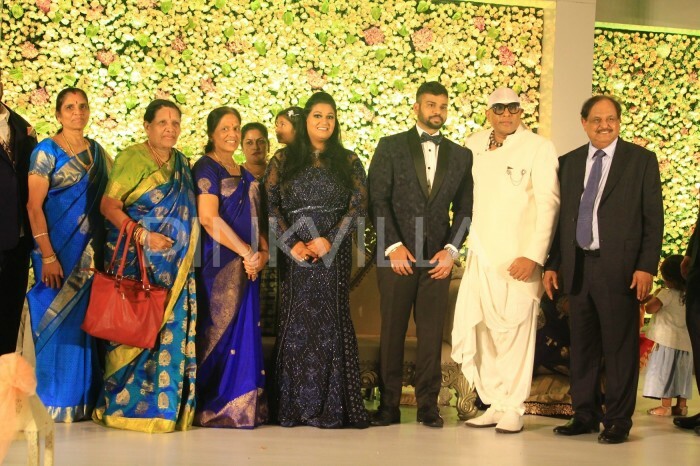 The newly wedded bride looked pretty in a blue embellished gown while her husband complimented her with matching the blue and black suit.